The EU says scanning medicines "should happen as close to the patient as possible"
With just six months until all pharmacies must have new barcode scanners up and running, what are the burning questions the sector still needs answers to? 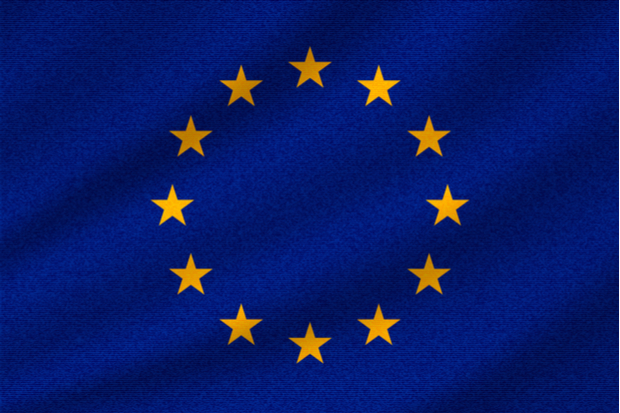 It looks like, whatever Brexit deal the UK ends up with, community pharmacies will be expected to comply with the EU’s anti-counterfeiting legislation, the Falsified Medicines Directive (FMD), from next year. This will mean that, when the legislation comes into force on February 9, 2019 – seven weeks before the UK is due to withdraw from the EU – every pharmacy in the UK will be required to scan new barcodes on medicines and check their anti-tampering device at the point of dispensing. Scanning a product’s 2D barcode – which, as part of the legislation, manufacturers will have to include on the packaging – will be part of the process of verification and ‘decommissioning’. We know this much – but very little else about the detail about how the FMD will work. Last month, the government’s medicines watchdog, the Medicines and Healthcare products Regulatory Agency (MHRA), published documents setting out how it proposes to implement the FMD. But it still left some glaring questions unanswered. What will pharmacies need to do? By the February deadline, each pharmacy will need to acquire at least one barcode scanner, and potentially an extra workstation. They will also require a connection to national and European databases, so that medicines can be verified against the databases to ensure they are genuine, and not counterfeit, medicines. In the decommissioning process, a medicine will need to be authenticated against a UK safety database before it is handed to a patient. Decommissioning will change the active status of the product in the databases, to prevent it from being verified again before it is supplied to a patient. To do this, new pharmacy software will be required, either as an update to existing patient medication record (PMR) systems, or as a standalone system. Standard operating procedures will also need to be updated, to incorporate the authentication scan into the current dispensing process and, of course, staff training will have to take place. 1. What will the impact on pharmacies be? In its impact assessment, the MHRA suggested that sites decommissioning medicines – which includes pharmacies –could face costs of up to £1,300 per scanner, as well as “regulatory inspections” to monitor compliance. This could be enforced with “a mixture of both criminal and civil sanctions”. But the legitimate questions community pharmacists have raised, which are stopping them from preparing for FMD, have not been fully answered. Salim Jetha, chief executive of pharmacy buying group Avicenna, tells C+D that “there are still lots of operational details [that are] not clear” – such as how to dispense from split and bulk packs, what to do with uncollected medicines, and staff training, to name just a few. 2. Who will pay for the scanners? 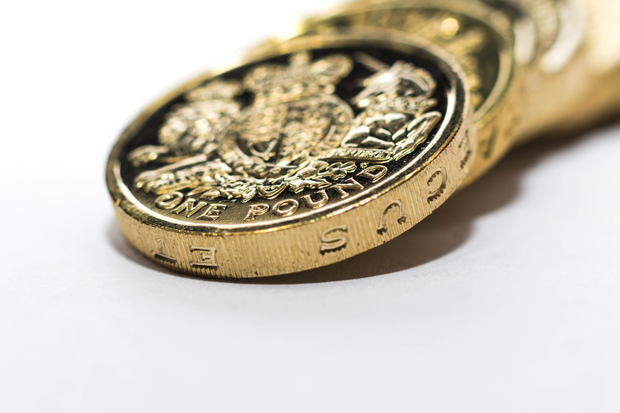 The legislation stipulates that each sector, including pharmacy, is responsible for its own costs for connecting to the UK’s safety database, the National Medicines Verification System. While the Pharmaceutical Services Negotiating Committee says it and the other national negotiators are “working to ensure that contractors’ FMD-related costs are recognised in future NHS funding settlements”, it remains to be seen whether this will come to pass. 3. Will pharmacies get flexibility? The consultation document states decommissioning should happen “as close to the time of supply to the patient as possible”, and in the case of deliveries to patients, “before handover to the driver”. But the EU will allow “a small number of flexibilities…to accommodate the way in which medicines are supplied on a national basis”. Under the “preferred or more likely option”, wholesalers will be required to verify and decommission on behalf of certain providers – but this does not include pharmacy. It also allows for “healthcare institutions” – defined as “a hospital, in- or outpatient clinic or health centre” – to be exempt from having to verify and decommission medicines, if they are supplying a medicine obtained from a wholesaler that belongs to the same legal entity as the healthcare institution. So would pharmacies that have a wholesale arm also be afforded the same “flexibility”? But Martin Sawer, chief executive of the Healthcare Distribution Association, tells C+D that he “doesn’t think” this kind of arrangement will be possible. “Given that the legislation says that healthcare institutions and pharmacies should decommission on supply to members of the public, I don’t think there’s a derogation there for a pharmacy that might also be a wholesaler,” he explains. The impact assessment details the highest, lowest, and best estimate of “the true social cost” of FMD, under each of the policy options. It assumes that there will be 3.1 billion prescription medicines dispensed in the UK in 2019, increasing annually by 2%. The best estimate of this “social cost” for scanners, “training and familiarisation”, and decommissioning, is estimated at £666.1m – ranging between £522m and £813.5m under the low and high estimates, respectively. 5. 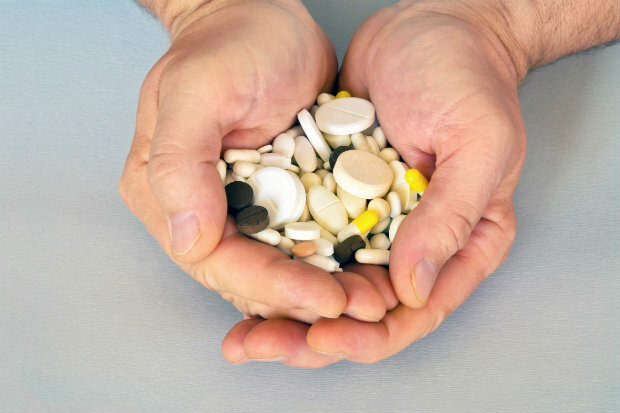 How big is the problem of counterfeit medicines? The MHRA claims the legislation will prevent harm to public health, but it admits “we do not have the data to provide a plausible model of the impact” of FMD on counterfeit medicines. The European Commission estimates that 0.005% of medicines in the legitimate supply chain are fake, but the MHRA admits “we do not have the evidence to show that this is the case in the UK”. “This is our initial analysis and is published with evidence gaps,” it says. “Many of the systems and pieces of equipment required to implement the policy are still being designed…therefore the figures are illustrative and should be used with caution”. Raj Patel, chair of the NPA’s FMD working group, warns that pharmacies “are mandated to comply” with the EU legislation, “so must proceed, albeit with caution”. The FMD consultation runs until September 23, and pharmacists and their staff can respond by completing the online response form and emailing it to [email protected]. This is the opportunity pharmacists have to fill in the “evidence gaps”. With less than seven months to go until implementation, clarity cannot come too soon. Are you ready for the FMD? What happens if you split a pack? Can you use the remainder of it if it is already scanned as dispensed? Yes you can, see this website. Quite a useful source of information. Does this apply to dispensing Drs? Hello - the proposal is that FMD will also apply to dispensing doctors. The consultation document states: "To remain equitable to what pharmacies have to do, we would expect dispensing doctors to decommission as pharmacies." So I try to decomission my pack of a drug to dispense it and which I have obtained legitimately. The process fails indicating that I have a 'falsified medicine'. What happens next ? It's high cost and a replacement will not only delay supply to the Patient but will now cost me double. The supplier states that the pack they supplied was genuine. Is the software working correctly ? This is what the directive is aimed at - detecting the fake medicine but there is little about what will happen when this actually occurs. Most of the detail is simply about verifying (together with an implicit assumption) that a medicine will be genuine. I am holding in my hand an expensive purchase that is stated by a computer system to be a fake medicine. What next ? Someone will probably suggest you either post it off at your own expense, or bin it. Either way it's a huge loss on top of all this extraneous technology which you need to buy. Plus, can you imagine being honest with a transplant patient about the fake mycophenolate you bought in? "Well, I'm really sorry but the drugs we bought in turned out to be fakes, so you'll have to come back tomorrow for some from another supplier. It's not our fault, honest. Hope your kidney transplant will be OK". Surely the certification of genuine drugs should be done BEFORE they reach the pharmacy? Oh, sorry I forgot. Some of the wholesalers are in cahoots with certain people at certain pharmacy organisations, so pharmacists not only have to buy the equipment, but have to spend all the time and effort checking their drugs for fakes and then figuring out what to do when they get a rogue box. It is really up to a pharmacy's administration to decide whether to verify medicines at the goods entry or not, in other words when medicines are received from a distributor and reject all medicines that are not ok. It is mandatory to decommission the 2D code on the pack of medicines before it is dispensed to a patient. Wholesalers/distributors have the obligation to verify medicines but only those that are received by them from third parties and not directly from a pharmaceutical manufacturer or authorised wholesaler. "The best estimate of this “social cost” for scanners, “training and familiarisation”, and decommissioning, is estimated at £666.1m – ranging between £522m and £813.5m under the low and high estimates, respectively." Is that for the UK? Using the figure for the EU suggests there is maybe £16 million pounds of "fake" drugs in the UK. That is a massive disparity of cost to benefit! I think C&D have misread the economic impact assessment as from what I could see these costs were associated with non-pharmacy operators 'section 23 exemptions' being asked to implement FMD. The pharmacy costs are enormous. The process costs are enormous. There are a number of unanswered questions as Roy Sinclair raises. Government clearly doesn't want to pay for FMD, so we are hearing a lot of sabre rattling about 'professional obligations' and sanctions. We could have a professional obligation to fly to the moon but it doesn't make it possible or realistic within the current financial envelope. Both GPhC and MHRA need to consider this before trying to bully pharmacy operators into funding FMD implementation out of dwindling profits. Government needs the flow of medicines to continue through next year. As long as the wholesalers don't try and sell us down the river (big if), in my view we have the upper hand for until at least this time next year because of Brexit. The entire sector needs to unite behind a tough negotiating stance to ensure that FMD costs are fully covered, and that adequate protections are in place for the continuity of supply to patients in the event of price hikes and supply shortages relating to Brexit. Whatever your politics on Brexit, our supply chain relies on Just In Time processes, which aren't well prepared for Just In Case problems. Supply chains are not going to be made any more efficient or quicker because of the uncertainty and confusion which exists around post-Brexit trade arrangements. I personally have no faith in the HDA's assurances that everything will be ok, they can't even get common generics into our hands in a timely fashion, and still haven't 'explained' their 'unexpected' increase in profits during last year. It's funny how stock suddenly becomes available when a price concession is announced, and even funnier how all of the major wholesalers pricing is so similar in those situations. Conflicts of Interest are rife in vertically integrated operations, we need absolute clarity about where our representative bodies stand when many of these operations are represented within Community Pharmacy organisations. At the risk of sounding like a conspiracy nut, why are the wholesalers getting a free ride on their 'unexpected' bump in their profits? Could it be that Government recognises that it needs medicines and is looking to stitch up a deal with the large wholesalers? They tried it before in the autumn of 2015 when they sought to offer 'regulatory change' to the larger operators to enable 'efficiencies': Hub & Spoke, Pharmacy Supervision, Market Entry reforms.